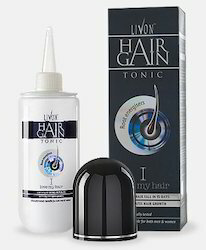 We provide Livon Hair Gain Tonic to clients at affordable prices. It helps revitalize and detangle hair strands. Sakunthala Herbal Hair Tone comes with Gooseberry & Jasmine Buds & it is Coconut oil based hair oil. Accelerates hair growth. Controls hair fall in 15 days. Backed by rich industry experience, we are engaged in manufacturing a premium quality range of Hairex Hair Tonic. Acidum Phosphoricum 6x: Reduces thinning of hair. Jaborandi 2x: Prevents hair falling, adds lustre to hair. Lycopodium Clavatum 3x: Reduces hair falling with or without eczema of scalp. For All Hair Types : Incorporated with Amala, Brahmi, Ylang and Curry leaf oil, it cares for hair from the roots to the ends giving it body, shine and vitality. Adding volume and nourishment. Method of use : Apply all over the scalp and hair, massage gently and carefully, avoiding eyes. Active and Essential Oils : YlangYlang Oil, Cedarwood Oil, Carrot Oil, Wheat Germ Oil. To furnish the varying desires of our customers, we are immersed in offering a world class consignment of Khadi Ayurvedic Hair Tonic. Chemist and pharmacist Dr. August Wolff had a revolutionary idea. He wanted his products to be more than hair styling aids and to make an important contribution to keeping both scalp and hair healthy. With this objective, Dr. August Wolff performed his research and developed many successful hair care therapeutics. RE-GROWTH oil, tablets and liquid helps to restore hair growth by stimulating the hair follicle directly through the pore. Herbal Head Nourishment Tonic made up of specific herbs based on Ayurvedic formulation, water based (ZERO Greasy or Oily contents). It treats hairfall, dandruff, greyhairs, headache lands a cooling effect to the brain and leads to sound sleep and helps the hair to grow. Fights dry scalp and dull hair. Chic Beautycare International Pvt. 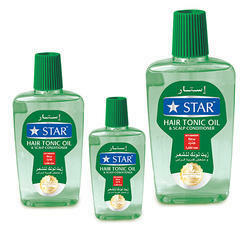 Ltd.
We present a range of Hair Tonic, which is formulated using natural ingredients and herbs. These are procured from numerous reputed vendors, who assure us of quality products. The tonic is acknowledged to prevent hair fall and hair splitting, while accentuating the growth of lustrous hair. Neem Plus hair tonic is a unique formulation to provide a complete whole some hair care & vitalizing programme. A non-paraffin/hydrocarbon based natural product containing neem oil, sesame oil, Castor oil, Brahmi Bhringraj, Amla & Haritaki, Neem Plus tonic is a rich nutrient & nourishing product to stop hair fall, premature greying & assist growth of new hair.